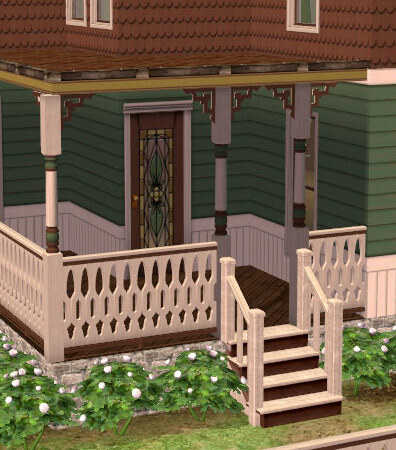 The Textures in this set use the same base objects as the rest of my victorian colors sets: 4 brackets, 2 posts, 3 doors, 2 windows, deck stairs and a baluster gate. The fence in this set is not a texture but an object. This set has 4 textures for brackets mixing the 3 basic colors. (see pics). 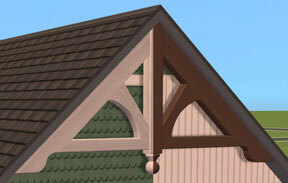 The 2 posts and the 4 brackets come in 2 different textures mixing the trim color with the base and accent colors. Walls can be downloaded in Walls. 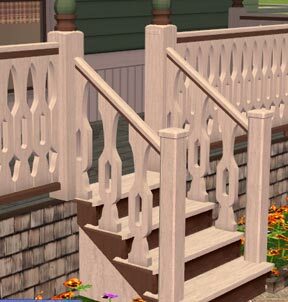 The sawn baluster fence has been fixed and it’s guid modified, please redownload it again. 2 Textures matching the trim and accent colors of the set. You need to download the base meshes HERE. 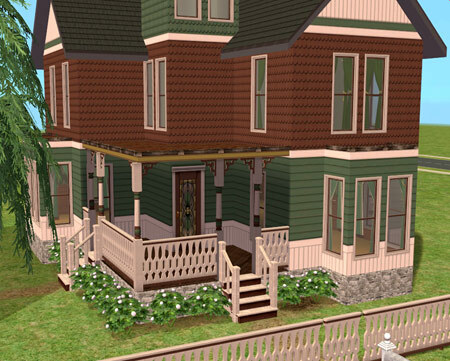 Then download the Victorian classic colors set 4 above. Don’t forget to download too the walls. The house has been updated with the new fences and deckstairs. Uncompress the downloaded files in your Downloads folder that your game uses. 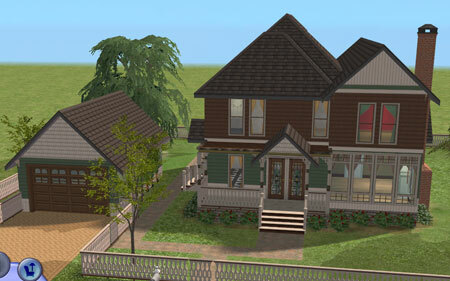 Then install the downloaded package house. When entering the game and the house you will see all the objects with their textures in place. 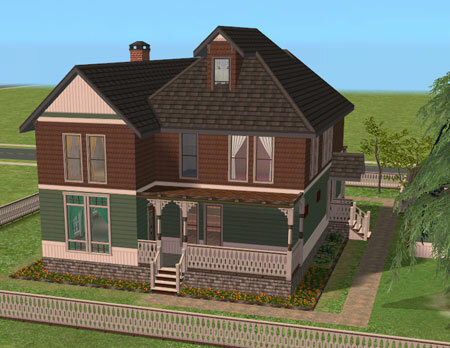 You may be wondering why I just don’t place the house for download with all the objects included instead of download all the objects separately. I checked my downloads folder lately and found too many meshes, textures, walls and floors duplicated or triplicated, The more files you have in your downloads folder the more slow your game loads and it takes a lot of time to ckeck for those duplicated files if you have a big amount of downloads. Your houses are absolutely gorgeous!! Now I have to get Nightlife so I can download them!